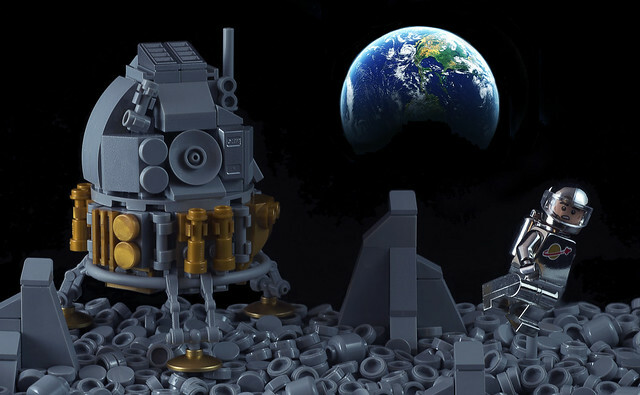 An appropriate time for a recreation of a lunar module, done by Sad Brick. I think what I love about this overall scene is the terrain. It's not just studs, or SNOT bricks. Using 1x1 round tiles adds such a nice texture. The module itself is also wonderfully done, and stands out amongst other models I have seen. Quite a nice view in this photo!